Abhijit went on to sing Jashn Hai Jeet Ka in London Dreams as well as assisting Louis Banks for Mile Sur Mera Tumhara 2. Multi-talented singer and composer Abhijit Ghoshal is best known for being the only singer in the history of reality singing show Sa Re Ga Ma Pa to win 11 consecutive episodes. 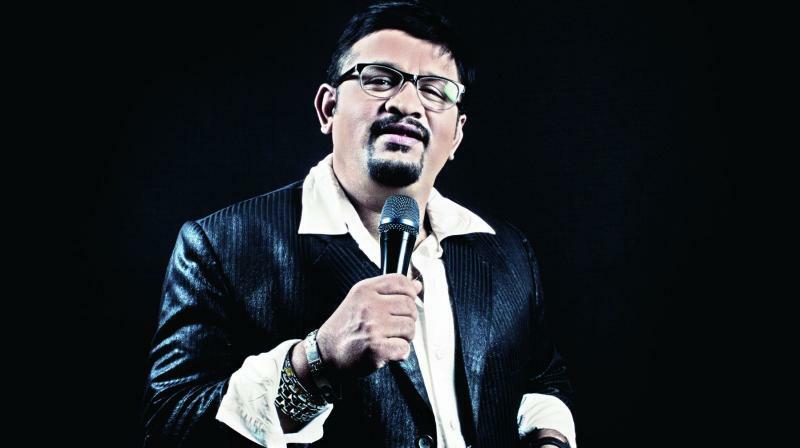 After backing out of the show, Abhijit went on to sing Jashn Hai Jeet Ka in London Dreams as well as assisting Louis Banks for Mile Sur Mera Tumhara 2. He has composed several jingles and songs for brands and hosted several episodes of Sa Re Ga Ma Pa Bangla. Recently, Abhijit composed Meri Pyaari Gudiya, a song that Shaan lent his voice to. We caught up with the singer and asked him about his musical favourites. A song on repeat on your iPod? Nindiya from Sarbjit. It’s an astoundingly touching composition by Shashi Shivam. Arijit has lived this song. Five songs that would feature in the ‘soundtrack’ for your life? Kisi Ki Muskurahaton Pe. It describes the philosophy of life. Tu Hi Re. It’s the epitome of love. Lag Ja Gale. It’s a haunting love song and has Lataji’s harkats. Saathi Re Bhool Na Jaana Mera Pyaar, for Shri Ravindra Jain. I’ll Always Love You by Whitney Houston. You would describe your taste in music as? I have always loved various genres of music. I feel whatever soothes your nerves at any given point of time is what good music is. Favourite time or way to listen to music? While driving, especially a long drive to Lonavala. A band or musician you’d want to get a private concert from? A flautist like Rakesh Chaurasia or Kenny G.
One live act you would love to see once in your life? In perfect rhythm and harmony!